Everyone loves BBQ at our house. 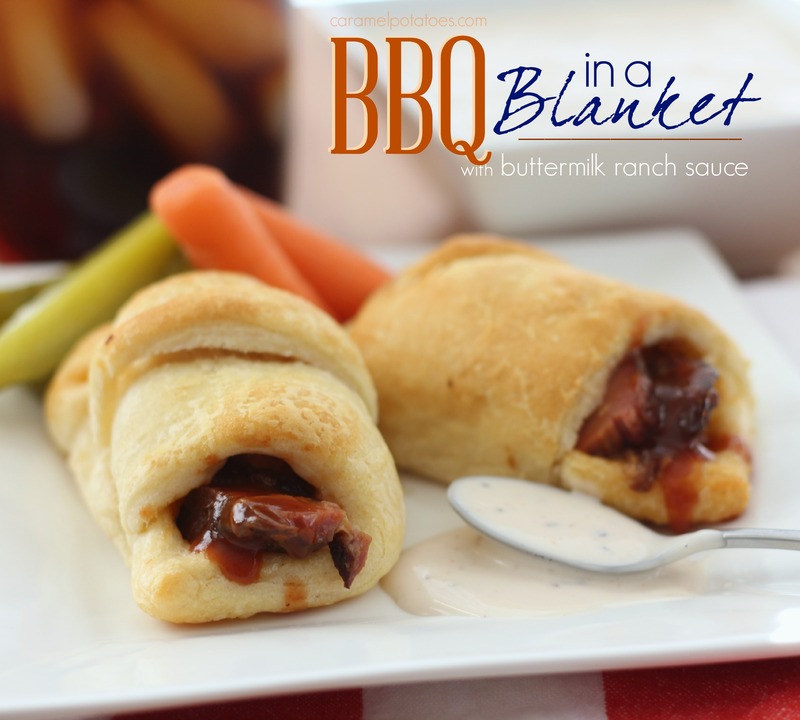 I love this BBQ in a Blanket because it is fast, easy, and lots of fun. You can serve them as a main dish with slaw or set them out as an appetizer for your game-day party! 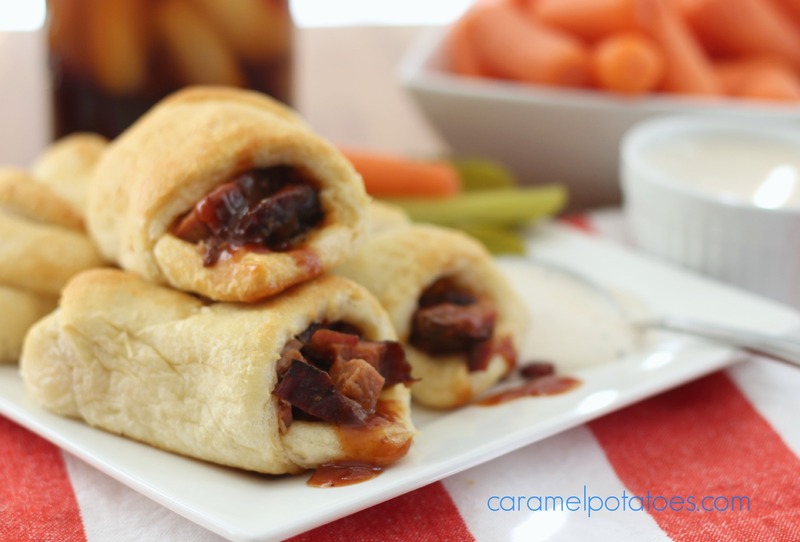 We like to fill them with our Favorite Pulled Pork, or sliced brisket. Be sure to make a batch of Buttermilk Ranch to dip them in and let the fun begin! 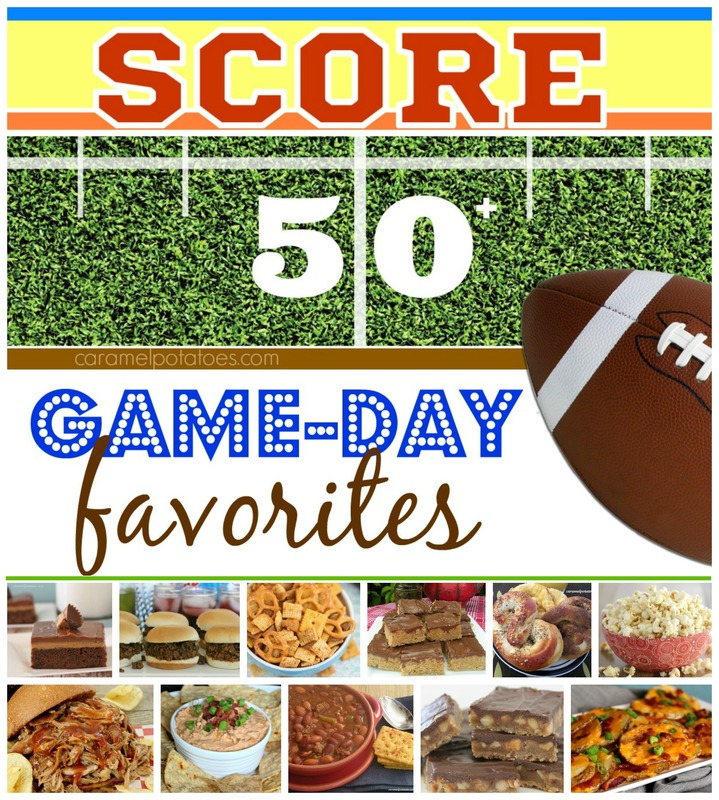 If you are looking for more game-day nosh- be sure to check out more of our Game Day Favorites here. Preheat oven to 400. Line a large tray with parchment. Spoon 2 tablespoons meat onto the top end of the triangle. (Note, not too much sauce, use a slotted spoon if needed.) 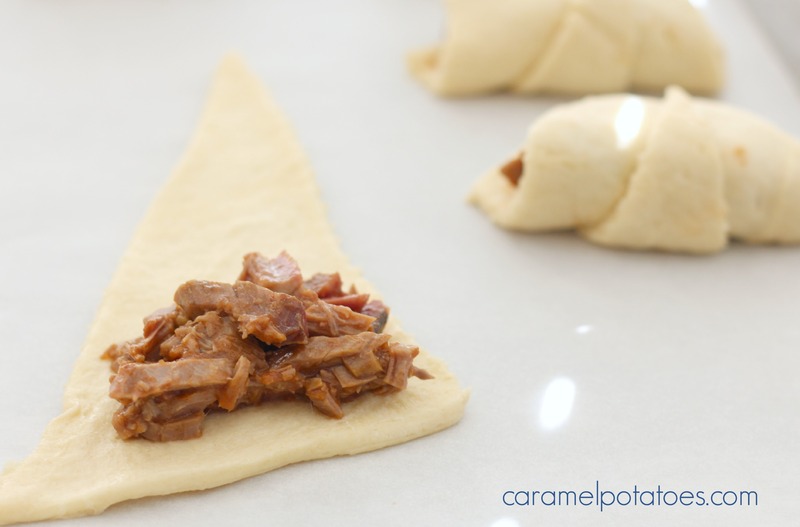 Roll crescents and place on tray. Bake 10-12 minutes or until golden. Serve with Buttermilk Ranch Sauce.